ADAPTATION BELGRAVIA ITV JULIAN FELLOWES JULIAN FELLOWES TO ADAPT HIS 19TH CENTURY NOVEL BELGRAVIA INTO NEW ITV COSTUME DRAMA! 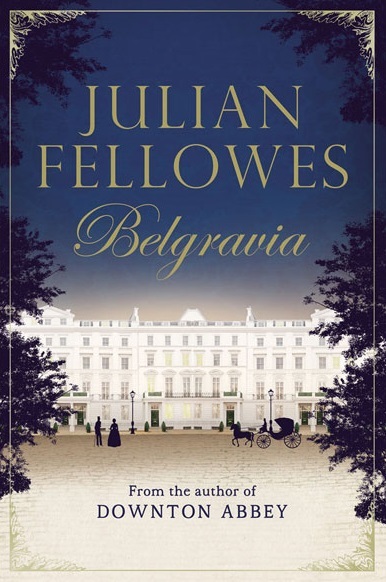 JULIAN FELLOWES TO ADAPT HIS 19TH CENTURY NOVEL BELGRAVIA INTO NEW ITV COSTUME DRAMA! another series for ITV. It is set in the 19th century when the upper echelons of society began to rub shoulders the emerging industrial nouveau riche. The story itself begins on the eve of the Battle of Waterloo in 1815, when the Duchess of Richmond throws a party in Brussels for the Duke of Wellington. Among the guests are James and Anne Trenchard, who are living on the profits of newfound trading success. Their young daughter Sophia has caught the eye of Edmund Bellasis, the son and heir of one of the richest and most prominent families in England. Twenty-five years later, when the two families are settled into the newly developed area of Belgravia, the events of the ball, and the secrets, still resonate. Carnival Films will produce.